Cambodia was part of our 3 months trip through SE Asia and it followed right after the lovely Vietnam. Visiting Cambodia requires a visa which can be obtained at the border and it costs 30$. 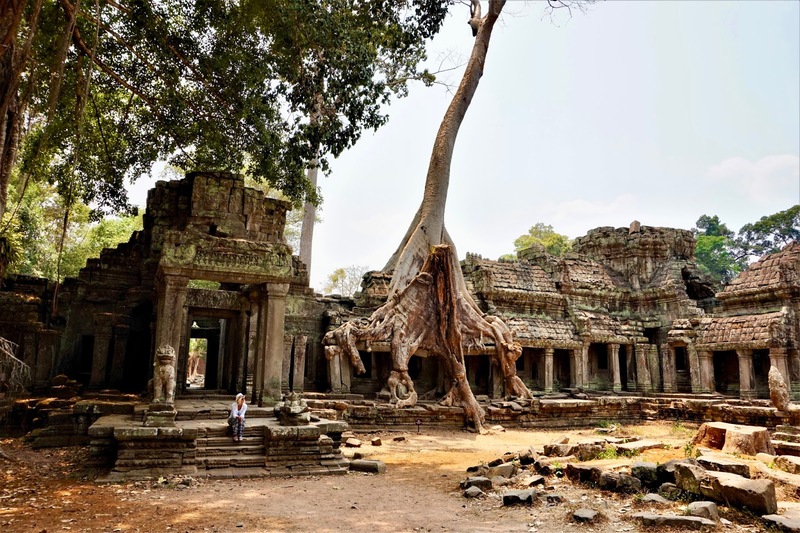 We divided Cambodia into 3 parts: one for the mind (The Killing Fields), one for the soul (The Angkor Temples) and one for the body (Koh Rong Samloem island). 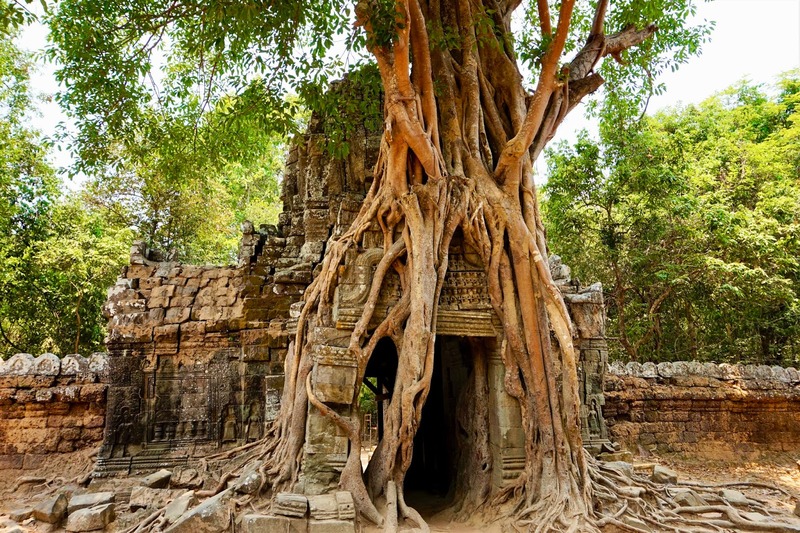 First we went to their capital city of Phnom Penh. We reached the city taking the bus from Ho Chi Minh in Vietnam. Visa wise, this was no issue, as we got the visa at the border and the bus company organized everything, we just had to pay an extra fee of 5$. There is not much to see in Phnom Penh, but our main reason was to visit the Killing Fields, which are a number of sites where more than a million people were killed and buried by the Khmer Rouge regime. It's a dark place and as you can imagine, out of respect, we did not take pictures there. Back then I just finished reading "First they killed my father" by Loung Ung, which helped me understand more of what happened during that tragic time. Next it was time for our soul so we headed up to Siem Reap to see the Angkor temples. I would recommend that while staying in Siem Reap to find an accommodation with a swimming pool. 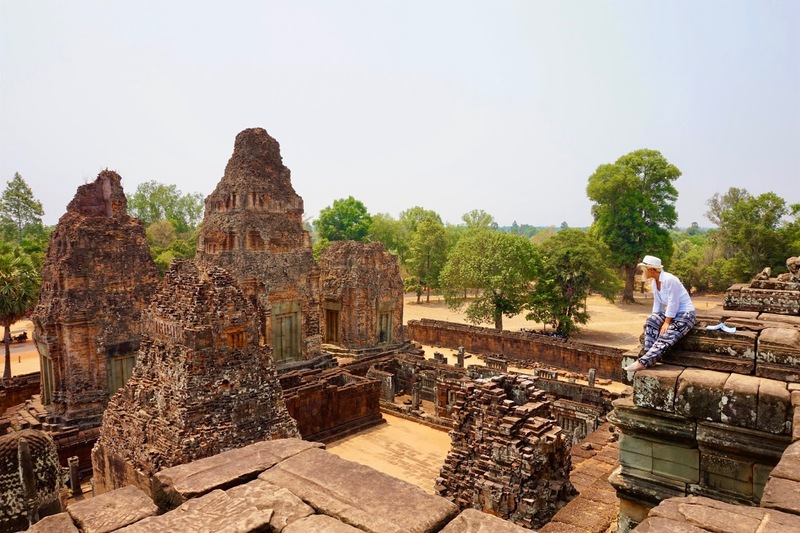 Visiting the Angkor temples can be a bit extreme, as you'll be walking through scorching heat all day long, therefore chilling at the pool afterwards can be very refreshing. Accommodation in Cambodia is pretty cheap, we paid 20$/night for a double room with breakfast included. 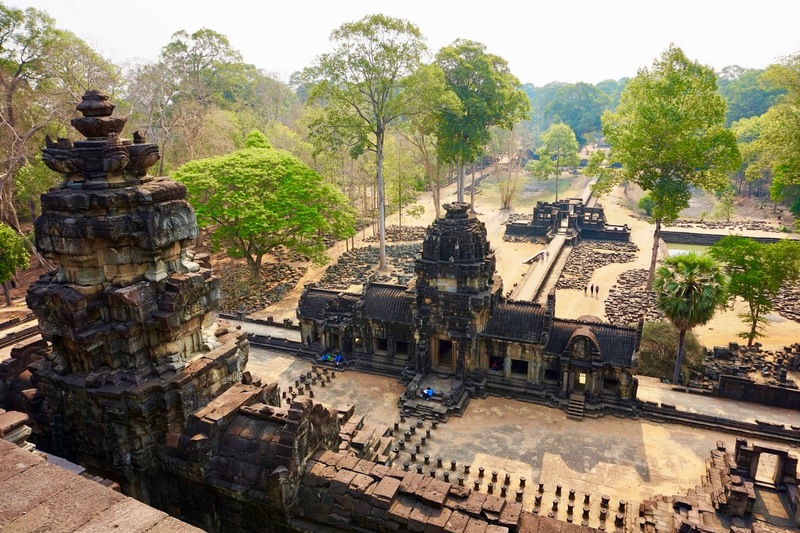 The Angkor temple complex spreads on over hundreds of kilometres and to see the most important sites you will need at least 2-3 days. The most convenient way is to rent a tuk-tuk with a driver that will take you wherever you want and it costs around 20$/day. A 3 day pass for the temple complex costs 40$. A small tip would be to get to the ticket centre as early as you can in the morning because it takes a while to get your picture taken and cues start forming. 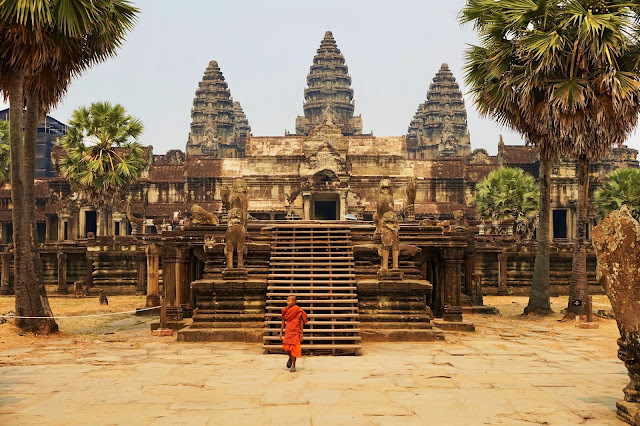 If you get there at 5 AM and you hurry a bit you can catch the sunrise at Angkor Wat which is a must! Plan your itinerary wisely! The temples are magnificent but they are even better if you get to see them alone and not with other hundreds of people. Usually all the tourists were following the Lonely Planet's guide so they were all going at the same temples at the same time. What we did is do the day itinerary backwards with some minor adjustments as some temples are great to see at dawn and some in the morning. At noon the temples are empty as everybody goes to lunch, well how about skipping it? Eat a pineapple or something quick on your way to another temple. Why waste those precious hours? However keep in mind that the sun will be even hotter during that time! Wear decent clothes! You will be visiting sacred places, so wearing shorts and tank tops will not show your respect. Not to mention you won't be able to enter some of the temples if you are not dressed properly. (*note: Cargo shorts for men are acceptable). Getting a Hindu traditional sacred red string bracelet, known as "kalava"
Without a doubt visiting the Angkor temple complex was one of the most surreal experiences of our SE Asia Trip. 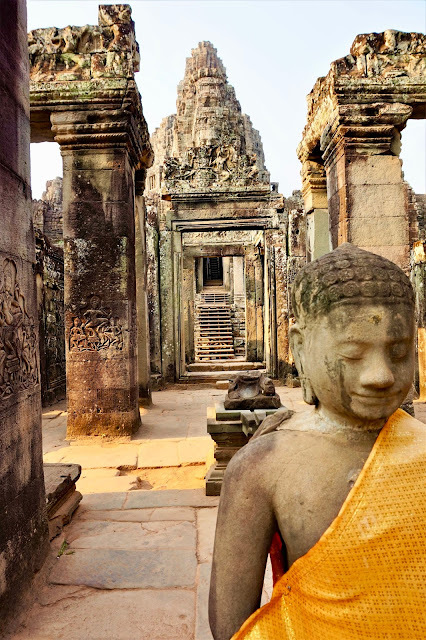 Visiting these incredible ancient sites left us in awe! Getting to touch and feel these thousand year old relics made us feel like we were in a movie. 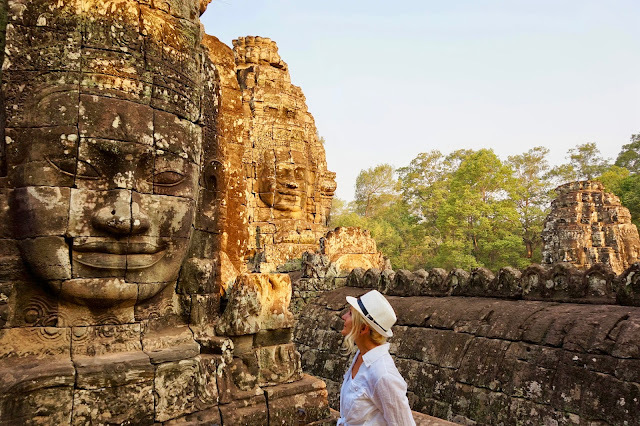 Cambodia was for us an eyeopening experience: the history, culture and the people all add to the enchantment of this place! 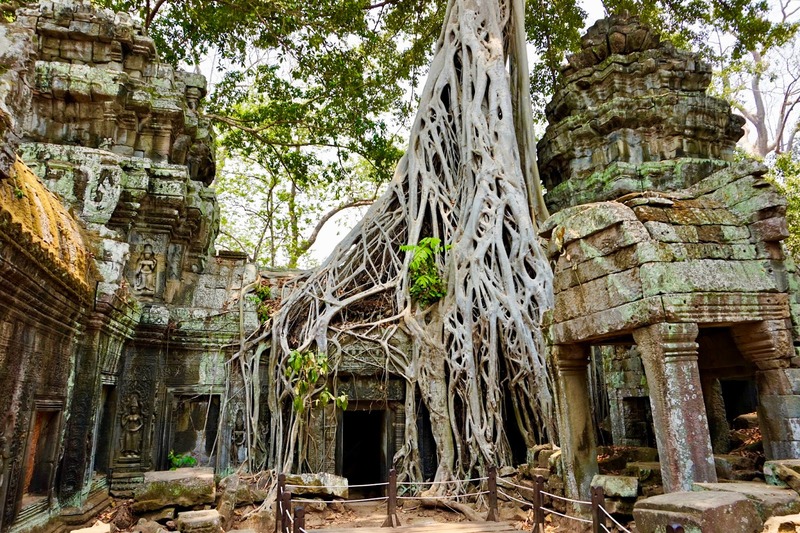 Angkor should be on everyone's bucket list and you should hurry before nature takes completely over! 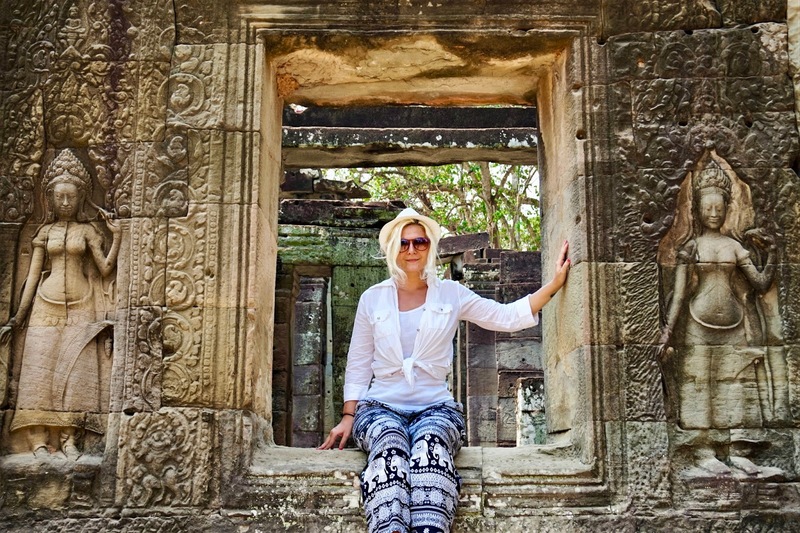 We are not done with Cambodia yet! I will tell you all about the secluded island of Koh Rong Samloem in the next post!